There are a huge number of news items, tweets and posts running around the Internet at the moment. I don’t pretend to know the details about Heartbleed, but I do not some of the expert opinion offered just adds to the general public’s confusion, and does not really help matters. Some commentators observe Heartbleed could – emphasise – could have led to a Password compromise – no evidence is given of this having yet occurred (but you can be sure people are now trying…). Thus we now have many commentators calling for all users to change all passwords. Whoa! Just hold on a minute, and check reasons to slow down a bit – Graham Cluley offers a good commentary. Even if this were right, is it the best advice we can give? We have long known passwords are dead as a viable security technology. Rather than tell everyone to change their passwords – why not suggest upgrading to two-step verification or two-factor authentication instead? It’s almost as easy, and takes just about as long as changing your password to set up on most sites. It may not 100% solve the issue, but it significantly reduces the issue. Randall Munroe has just posted an xkcd cartoon which I think does a rather good job of explaining Heartbleed: http://www.xkcd.com/1354/ . While Heartbleed goes to show how reasonably straightforward bugs can go apparently unnoticed in security-focussed code for some time, I’m pretty surprised that static code analysis tools didn’t pick this one up earlier. As well as the OpenSSL code itself (now fixed), I’d say code analysis tools should be checked-out regarding how this was missed. On the “change all your passwords” advice, I admit I’m sitting on the fence just now; Mashable is producing a list of common services and their vulnerability status at http://mashable.com/2014/04/09/heartbleed-bug-websites-affected/ , and it’s apparent to me that users would only need to change some passwords, probably not all. While it’ll increase traffic for a while, I’d suggest users have a look at one of the Heartbleed checkers which are springing up (I’ve been using http://filippo.io/Heartbleed/ ) to see which other platforms they use, need looking at. For example, I found an old Linux VM on my estate which is vulnerable, but my Solaris instances are all fine. I wouldn’t want to be an enterprise sysadmin this week, given the number of OpenSSL instances which are likely to need patching – and I agree it’s likely to take a few days for the fix to ripple across everyone’s server estate. While I don’t have an opinion as to whether a user should change their passwords immediately, they should definitely check whether a site which has been shown to be vulnerable has been patched, before changing their password to a new one they want to use long-term. 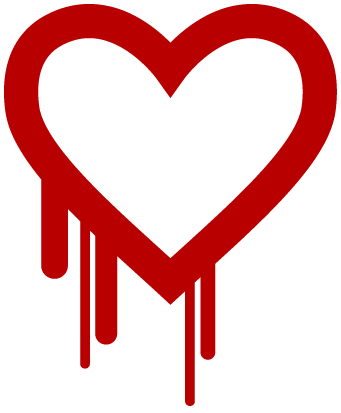 As a little follow-on to my thought about static analysis tools, Coverity have produced a thought-provoking article about finding Heartbleed and other bugs like it; it also has some further useful links. It’s worth a read; see http://security.coverity.com/blog/2014/Apr/on-detecting-heartbleed-with-static-analysis.html . Also, it appears that the Heartbleed check script at filippio.io , like many others released very promptly following Heartbleed’s announcement, isn’t wholly reliable when it comes to identifying vulnerable systems – it’s possible to get false negatives. Rather more comprehensive, it appears, is the “Cardiac Arrest” script, described at http://www.hut3.net/blog/cns—networks-security/2014/04/14/bugs-in-heartbleed-detection-scripts- .